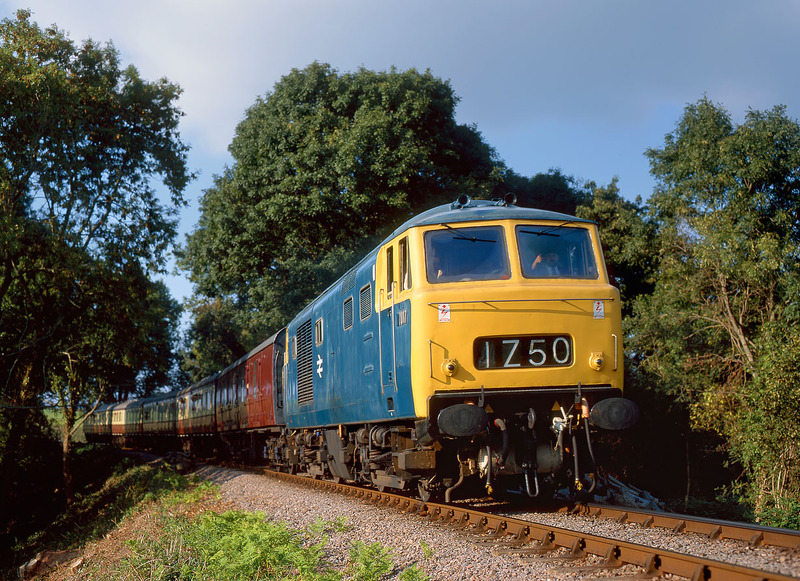 7017 approaches the footpath crossing near Nethercott on the West Somerset Railway with the 16:00 Minehead to Bishops Lydeard service on 20 September 1998, during the line's Diesel Gala. The loco is in the class's final livery of BR blue, with the cast D prefix to the number painted out. Although the advent of TOPS resulted in the locos becoming Class 35, they never actually carried the numbers, presumably because those cast aluminum numbers were so difficult to alter.